Whip up some adorable decor from bits you already have around the house with this super simple tutorial! Got a groovy refashion to share? How about a funky upcycled accessory or decor tutorial? An amazing thrifted outfit? Share your refashionista makes and thrift style outfit inspiration with us on instagram with #RefashionNation! 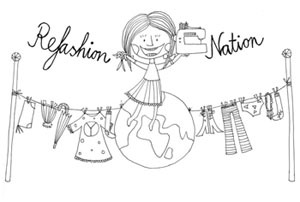 Click to join our Refashion Nation & have the thrifty goodness delivered straight to your inbox!